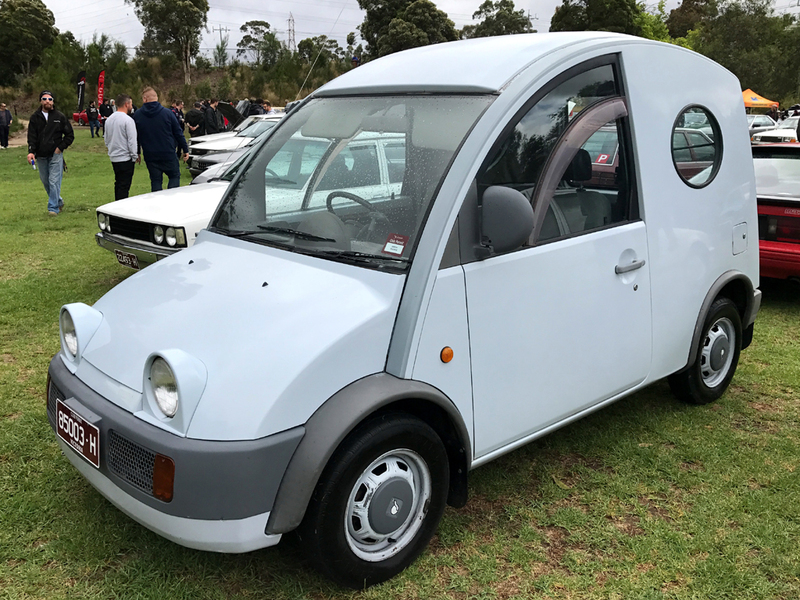 From the Toyota Car Club Victoria 'Classic Japan' show at the start of the month..
..what I'd thought this was the last of the Pike Factory cars I'd yet to cover, but it seems I've still properly skipped the Figaro? Either way, the four Nissan 'Pike Factory' cars are briefly covered in the Nissan Pao blogpost I did late last year.. This one? The 1989- G20 Nissan S-Cargo. A B11 Nissan Sunny based commercial vehicle with snail-themed retro styling. Yes, that was a thing. The name 'S-Cargo' being a portmanteau of 'Small Cargo', while also a clever double-entendre of 'escargot' - the French word for snail. 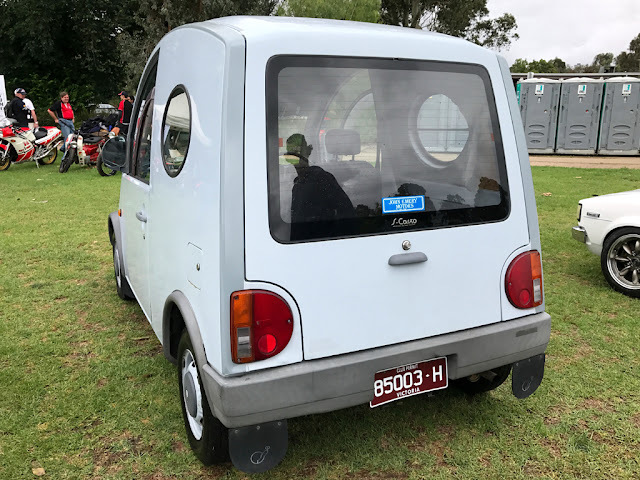 Like a clunky backronym (where the expanded wording is shamelessly based around a memorable acronym), I'm seriously thinking this is a small cargo van that looks like a snail because of the name. It's just too damn convenient! 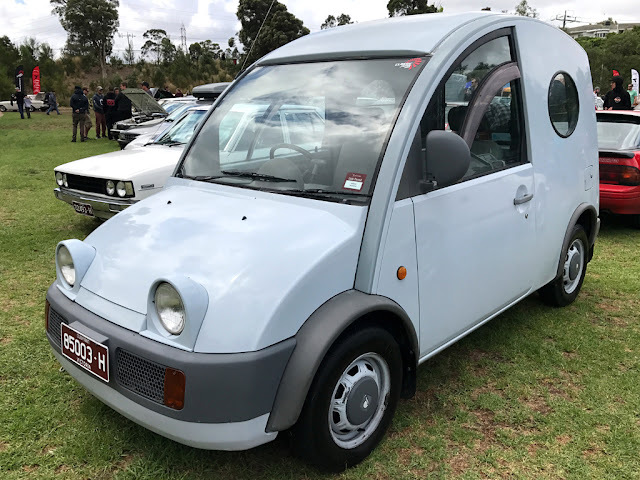 Anyway, Nissan's Pike Factory pumped out 8000 of these things over a two year run (according to their heritage collection page here), and as far as I'm concerned, 7999 of these then came to Australia to be used for dry-cleaner and restaurant delivery vans. ...this one though?! This one survived! Not perfect, but showing its age nicely.. and most importantly for me (for this post here, now..) largely untouched. Just a solid example of Le Nissan-Small-Cargo. The snailentercap on the original 13" steel wheels. 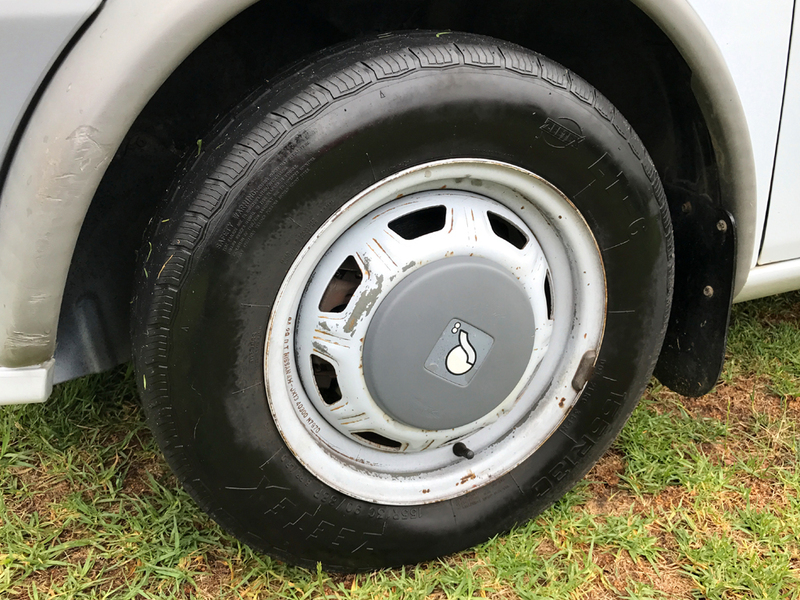 The 155-wide tyres used to really let the S-Cargo's 54kW (~72hp) E15S four-banger tear at the bitumen through those front wheels. 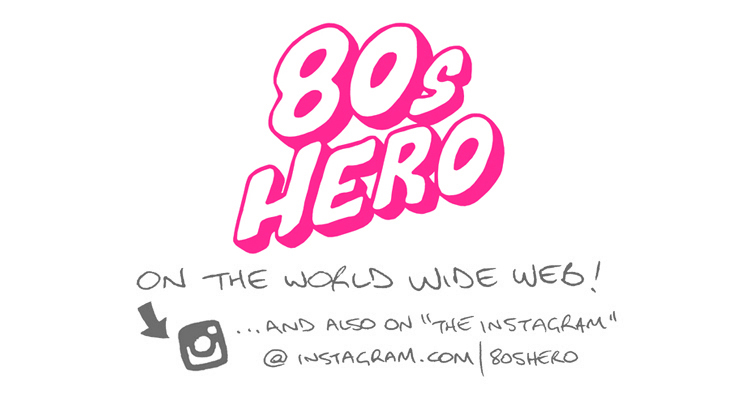 The retro style-first theme charges on inside. There's a dash mounted gear selector for quick changes, a bench seat for slide-across comfort and a luxo N12 Pulsar era steering-wheel for... being quirky enough to not look too out of place. Recycling! The surprisingly strange glass is something I'd never have noticed until seeing one in person. As far as I can tell it's all completely flat, with the exception being a front screen that gets away with a curve on a single axis! ...and if I'm wrong then it's bloody close regardless. Strange enough for those distortion-free reflections to be hard to un-see! 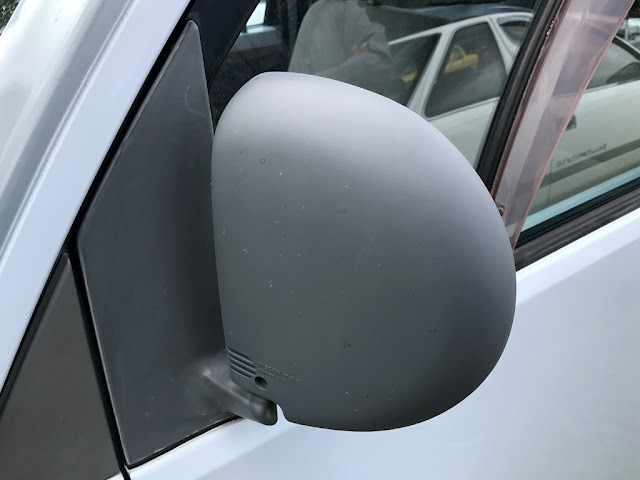 Unique wing-mirrors to mimic a snail's.. wing-mirrors? There's an R31 SVD Skyline Silhouette GTS. It is a classic Japanese car show in Australia after all..
..and that's a full loop. We're done! I wish there were more of these things still getting about, but ah well.. that's time for you. Chuffed to have had the opportunity to look over this one in person anyway - seriously a highlight for me from the show this year! ..simultaneously continuing on from yesterday's '89 Skoda 120 post and squeezing every ounce of mileage out of a tired pun..
..a 1988 Skoda Favorit 136L. 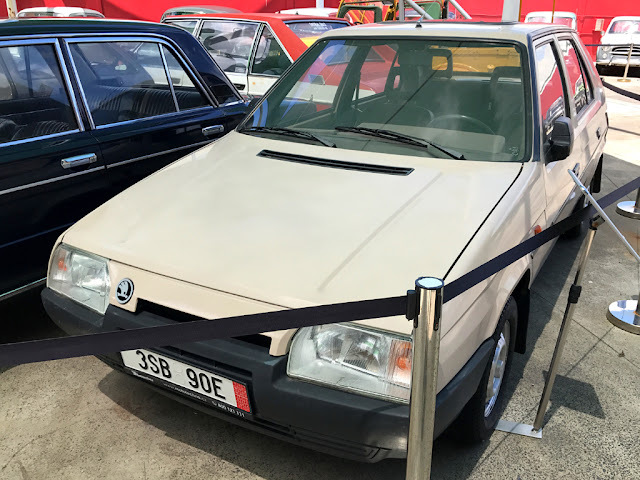 The FAVORIT 136 is a 5 door hatchback, developed and produced by Skoda, styled by Bertone of Italy with engineering assistance by Porsche. The bodyshell is of monocoque construction with crumple zones front and rear and incorporate bolt on front wings. The bodywork is protected from corrosion by the same proven process as used on the Current range, i.e., first the shell is cleaned and then dipped in a phosphate bath and electrophoretically coated - a plastisol sealant is then applied to the underside of the body. The whole shell is then painted with primer and top coat. 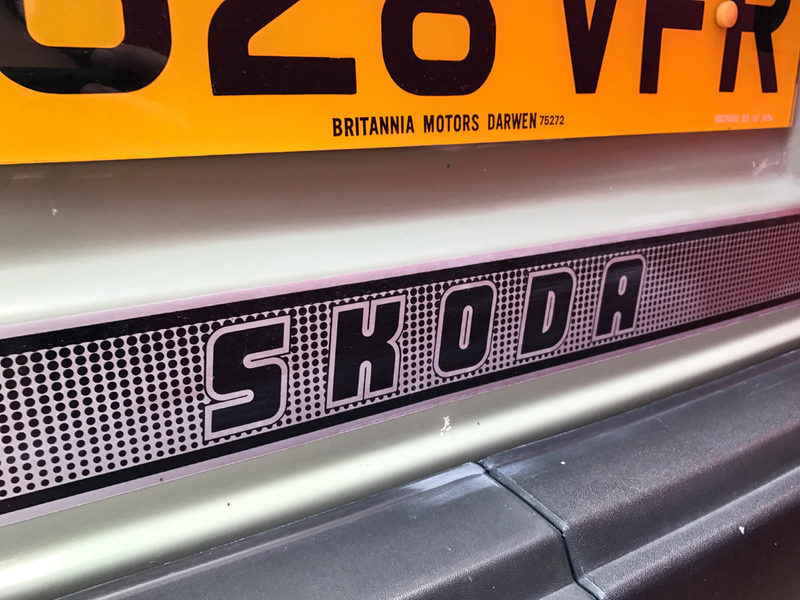 Thanks Skoda (Great Britian) Limited late-80s marketing department! Oddly detailed there..
A solid step into the mainstream for Skoda in 1987; a modern Bertone-designed hatchback body wrapped around a front-engined, front-driving chassis. The 1289cc four appears to have carried across from the existing '84- 130 models - essentially an enlarged version of the 1174cc in yesterday's 120L - with the Favorit's 9.7:1 comp 46kw/62hp version seeming to come more specifically from the 1987 Skoda 136L. 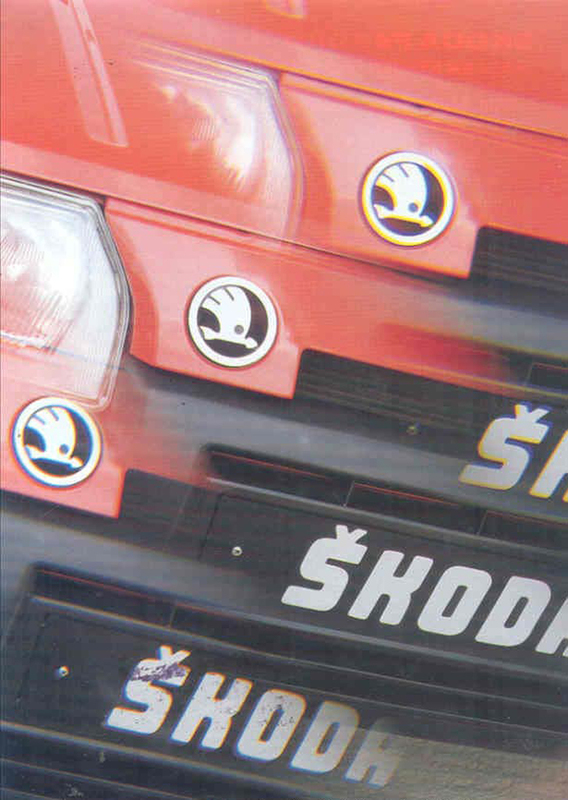 These 62 horses propelled ~840kg/1850lb of Favorit through your choice of either a 5speed manual or 5speed manual. Yep. That'll do - no complaints here! What look to be the same dainty 165-clad 13" steel wheels; now with plain silver caps and what are clearly wheel-bolts. 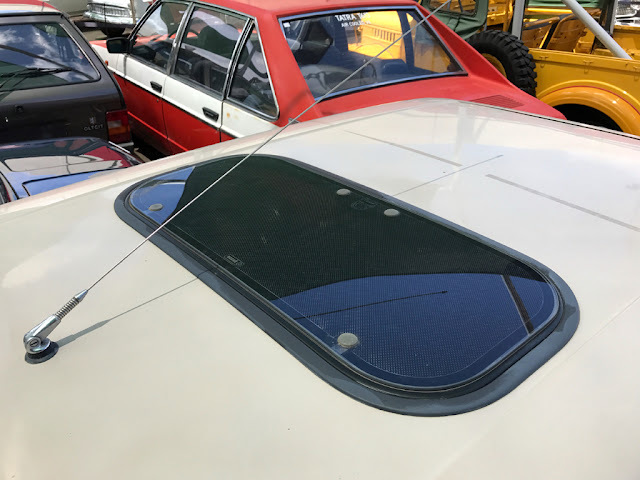 Ah, the classic huge-radius aftermarket sunroof look. ..finally combined with more thoughtful attention to detail. Good design works in any price bracket. While the conformist move to front-engine, front-drive, is both technically and dynamically a little dull for the enthusiast; the advantages for actual buyers are obvious. I can forgive. 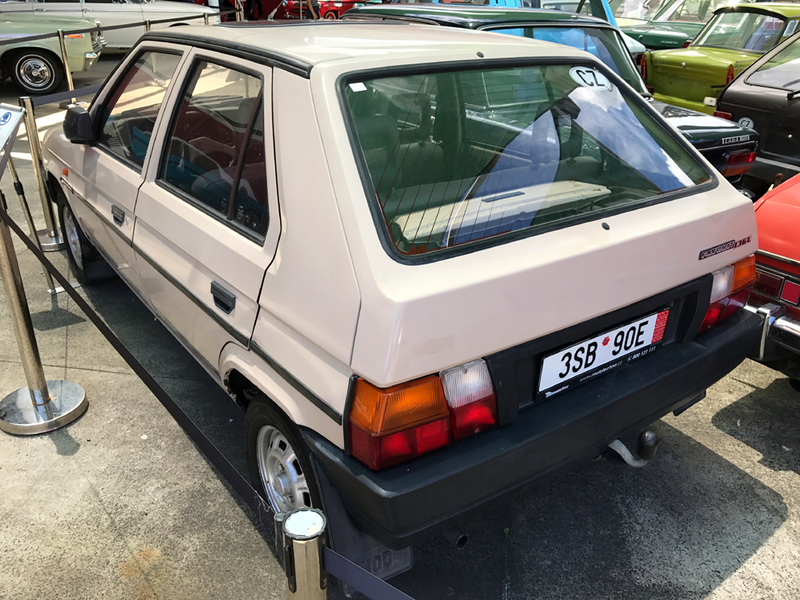 Looking past the overwhelming single-stage-beige'ery, this is actually a fairly stylish little jigger..
Fresh-ish from a trip to the Gosford Classic Car Museum a few weeks back - it's some late-80s, communist-Europe fun! Despite the 7-8hr round trip of pure commitment, I honestly wasn't expecting a whole lot from this museum. 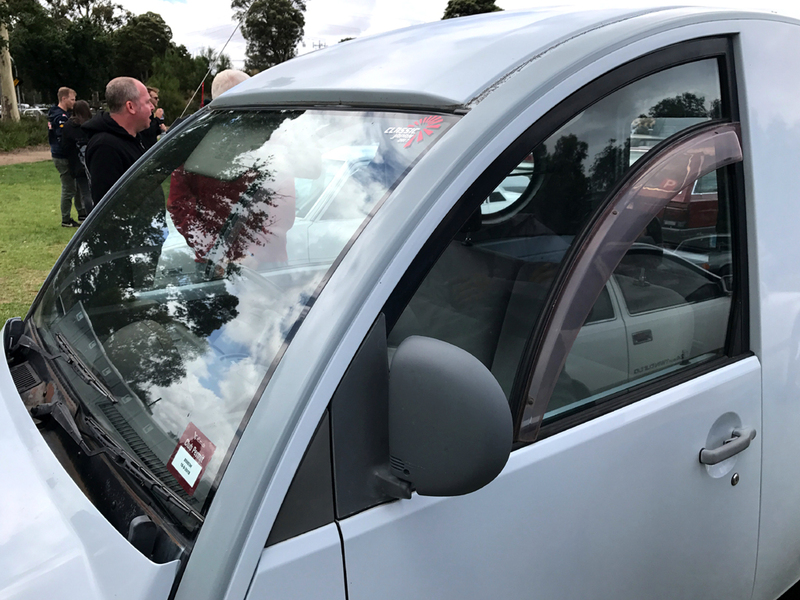 It was, from what I was aware, an old Bunnings filled with one wealthy bloke's rapidly-assembled car collection: a recipe for a heartless assortment of cliché car choices, thrown together with no real thought or logic. 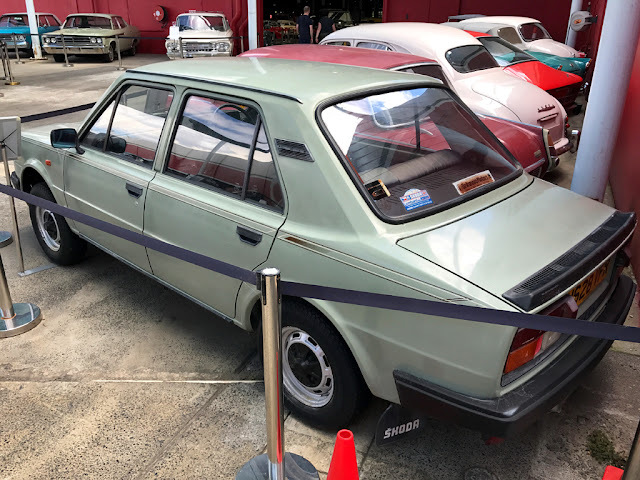 The Gosford Classic Car Museum's "Communist Car Collection". Wow. What a pleasant surprise. 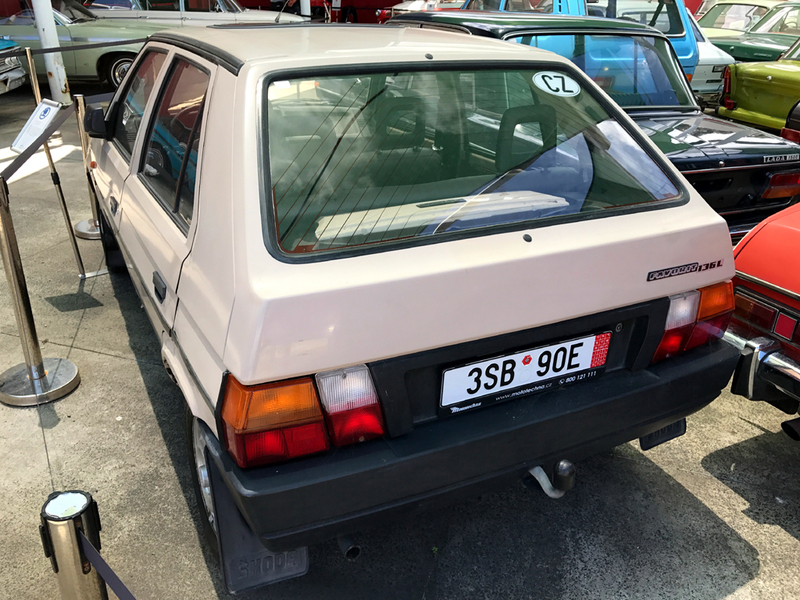 In the old Bunnings outdoor area was a good couple-dozen of the most weird and wonderful oddball classics - things I never get to see: Gaz, Dacia, Trabant and Wartburg; from a Serbian Zastava to a Romanian Oltcit... and a pair of late-80s Czechoslovakian Skodas! It was a good sign. It's this appreciation for a full variety of vehicles - regardless of flash or value - that differentiates a proper automobile/engineering enthusiast from the wealthy's need to spend their money on something. It revealed a little imagination.. showing the curiosity/interest in these things that I know (as someone who has a fairly broad car-ppreciation!) interest me. 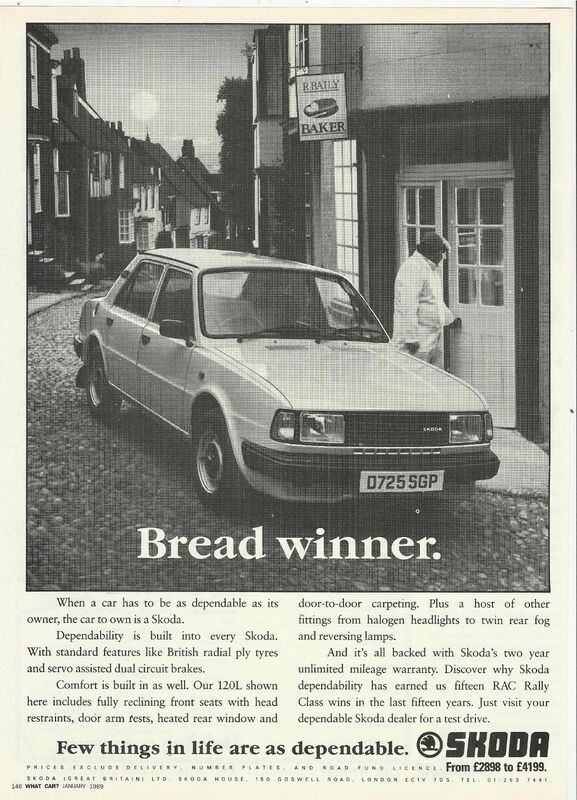 ..aaaaaanyway, the first of the two Skodas (that I know three-fifths-of-bugger-all about - so grab that salt shaker!) 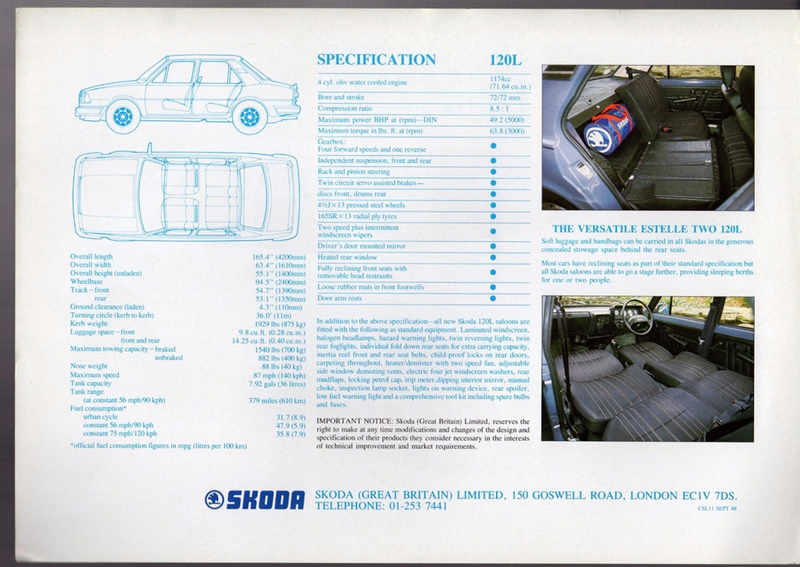 appears to be a UK-market 1989 'Estelle Two' 120L saloon/sedan, in a niiiice... err... olive-drab. 1989 makes it post-'84-facelift ('Estelle Two') and very late days for a model introduced back in 1976. Production ended the following year. 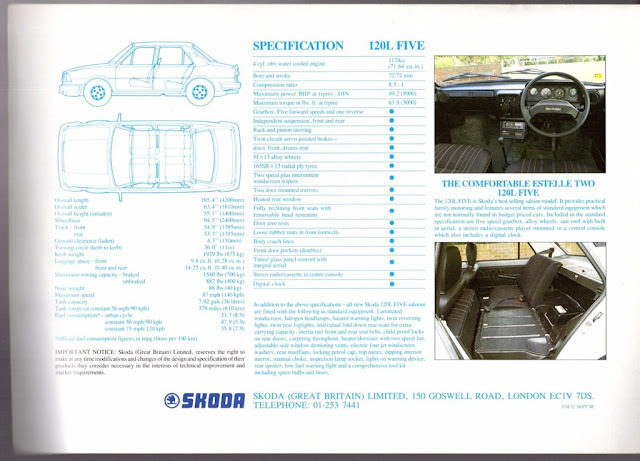 Don't let the grille above fool you; while there is a radiator up this end, the 120/Estelle was rear-engined, rear-wheel-drive, with that wide bonnet/hood actually side-hinged to access a large frunk. Those subtle vents on the spoiler's upper face (to feed the 1.2litre watercooled four) and the unusually long-wheelbase, the only giveaways that this thing's essentially a 911 Carrera RS things are a little different. 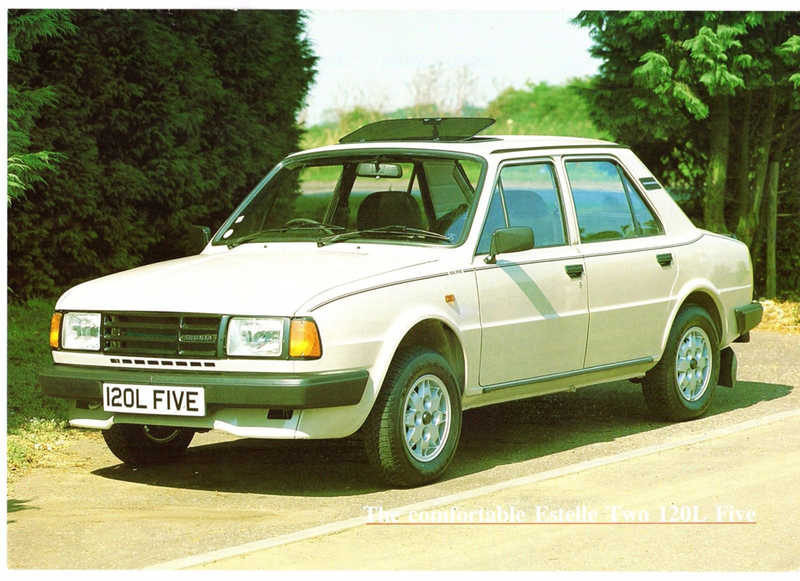 A 120L Five with steel wheels, or a 120L with a 5SPEED badge..? Dragged out of the UK and thrown in front of 25million Australians who've never seen one; I don't think it matters..
A little graphic style for what's otherwise quite the basic three-box saloon..
Pinstriping: why she looks so fast standing still. ..and similarly basic: the screw-heads visible in an upper surface s'just brutal let's-get-the-job-done'ery.. 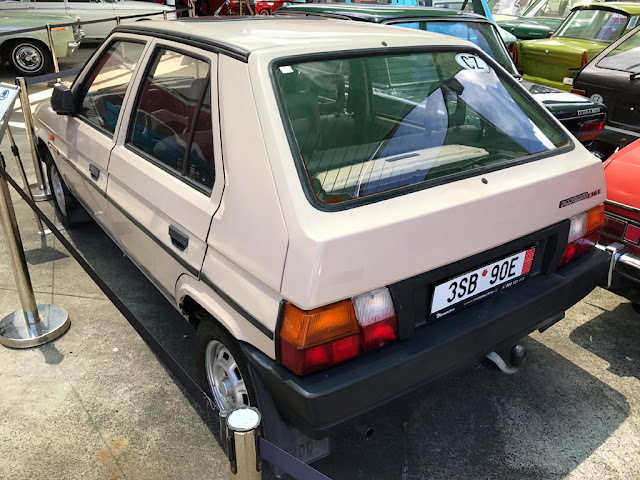 Dominating that 'up to 1300cc' class..
"Another car supplied by Britannia Motors"
I certainly can't imagine they would have expected this to be in a museum in coastal Australia 27years later..! Next up? 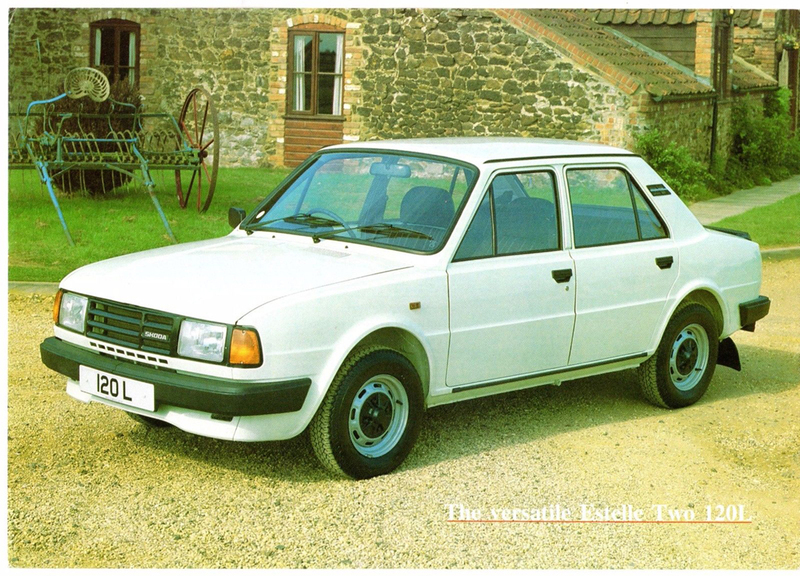 The model that carried the 120/130 Skoda's commuter-torch into the 90s...!